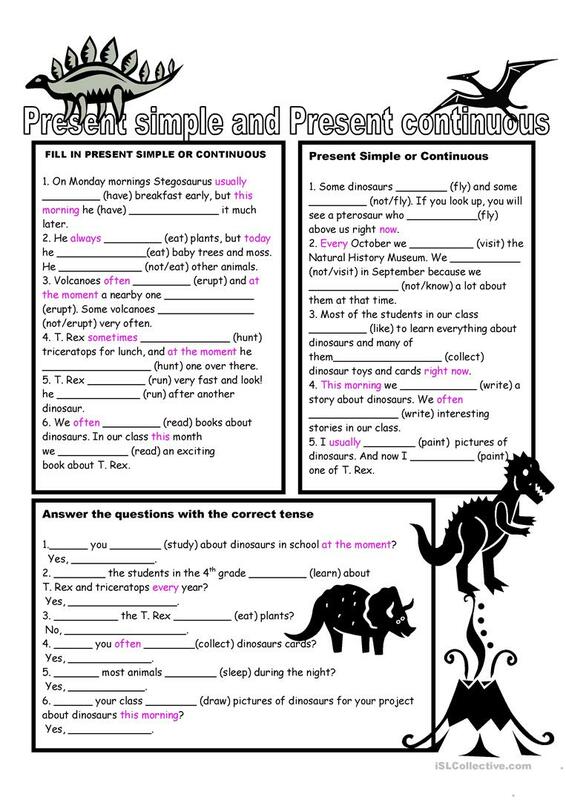 A worksheet to revise present simple and continuous. 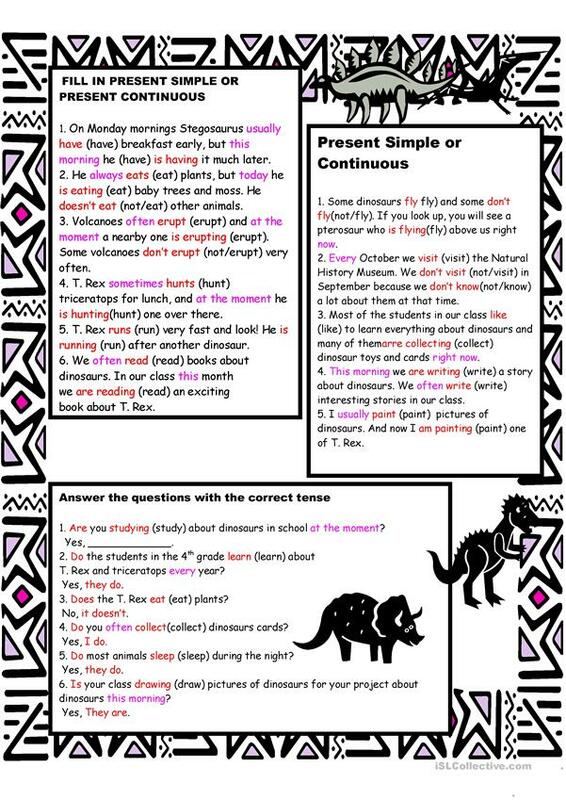 These 2 tenses may be the most fundamental, but they are the most confusing, and bedevil beginners. Lots of practice is needed. Included is a b&w version and an answer key. This downloadable teaching material is meant for elementary school students and adults at Elementary (A1) and Pre-intermediate (A2) level. It is valuable for revising Present simple vs continuous (progressive) tense in English, and is useful for working on your pupils' Reading skills. 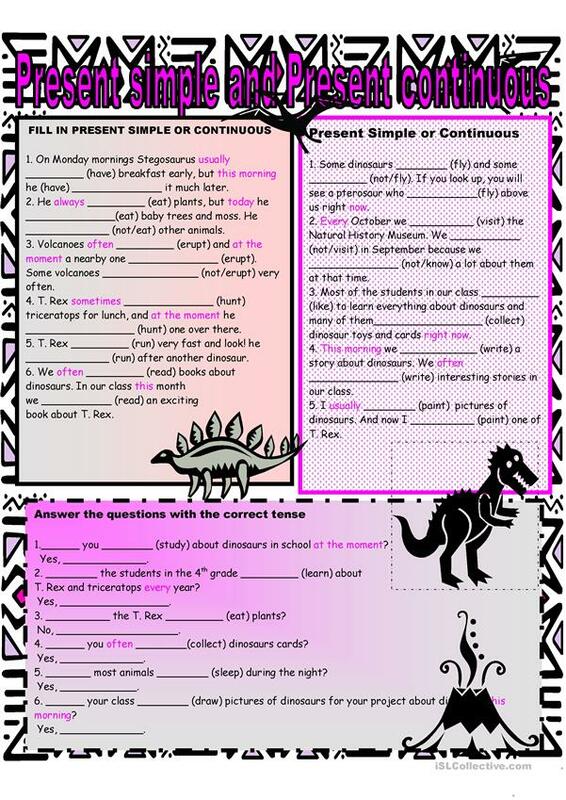 It is about the theme of Dinosaurs. You will find the key at the end of the worksheet.